Our EarthSaver products utilize 100% recyclable rubber tiles and post-industrial EPDM color chips. We offer two product ranges for EarthSaver. 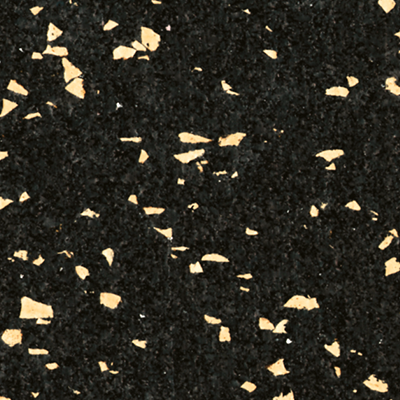 Our “Elite” series has a sand-like appearance where our “Classic” series incorporates larger color chips. Both products are bold color patterns. EarthSaver is an environmentally responsible choice for architects/designers and end users in creating sustainable buildings. The Elite and Classic series are only a fraction of the color options available. Our “Create-A-Floor” program allows you to mix our 24 color chips into an endless combination of colors. Langhorn Flooring Concepts Inc. is proud to confirm that our manufacturing facility has been accredited with Floor Score Certification to qualify for use in buildings with recycled building materials requirements. EarthSaver series flooring can help specifiers by potentially contributing to LEED points.